By default, if you display captions in the Photo or Gallery module, the caption is cut off at the first line with an ellipsis mark. 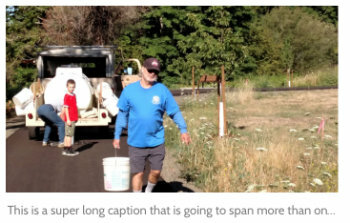 This happens whether the caption is set to On hover or Below photo. 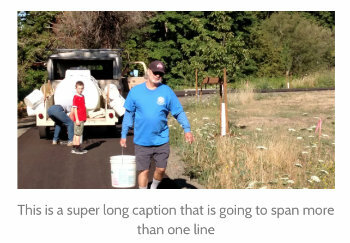 If you display the caption below the photo, you can use the following CSS snippet to display the full caption. See the Related Articles for where to put the CSS.